After the collapse of the USSR in 1990s, a certain resettlement of people took place in most of its former republics. As for Armenia, the country’s nationalists began implementing their big dream of getting rid of other peoples in the territory of Armenia. “Armenia is for Armenians” – this is the very slogan that the country’s government has been idolizing for many years. Along with expelling Azerbaijanis from their native lands of the modern Armenia, the country started losing other nations, including Russians. 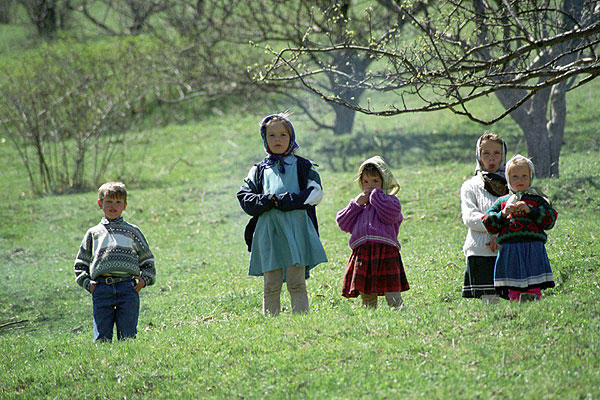 Based on the 1989 census, Russians in Armenia were accounting for 1.6 percent of the population – 51,555 people, KavkazPlus publication notes. However, by 2001, the number of Russians declined catastrophically – by more than 3.3 times to 14,660 people. This descending trend continues to this day, since according to the 2011 census, there are only 11,911 Russians left in Armenia – this is by almost five times less than in 1989. The interesting thing is that only a small portion of these people is really Russians. Some Armenians get registered as “Russians,” and there are a number of reasons for that. Under the Russophobic law “On language,” adopted in Armenia in 1993, all paperwork and education in the country was transformed into Armenian language. Thus, Russian departments in technical schools and universities were closed, and many qualified Russian-speaking specialists had to leave Armenia. Today, there are only 40 secondary schools with classes in Russian language left in Armenia, where, according to the law “On Language,” only children of ethnic Russians, Russian citizens and children from mixed marriages can study. Meanwhile, the quality of education in the schools with classes in Armenian language is at an extremely low level. Armenians themselves complain that having such education, it is impossible to find a normal job outside Armenia. Therefore, in order to give children education in Russian, Armenian parents often deliberately register them as “Russians,” even if they have a scanty part of Russian blood in their bloodline. Also, many Armenians working at representative offices of Russian companies as well as those serving at the Russian military base in Gyumri city get registered as “Russians” in order to ease their going to Russia and settling there. Thus, the figure of allegedly 11,911 Russians living in Armenia appears in this way. As for the real Russians living in the country, their number barely reaches 2,000 people. Meanwhile, Russians are considered to be among the most numerous minorities in Armenia. That is, the number of people of other nations in this country is even less. Given the nationalistic policy the Armenian authorities have been pursuing in the country since it’s gaining of independence, it is no surprise that the population of today’s Armenia almost entirely, by about 98 percent, consists of Armenians.